Scale Free Network were artists-in-residence at the Joey Club Brisbane, working with early childhood educators to create the Little Laboratory, an art-science space for children’s discovery, investigation and creativity. Small groups of children, aged 3 to 5, focused on close looking, shared wonder, beauty in nature and experimentation with art materials. “The Lab” offered exciting technology including a microscope camera from which found objects and artworks could be projected. This theatrical light-play space allowed children to make and interact with large projections and capture video and photographs. 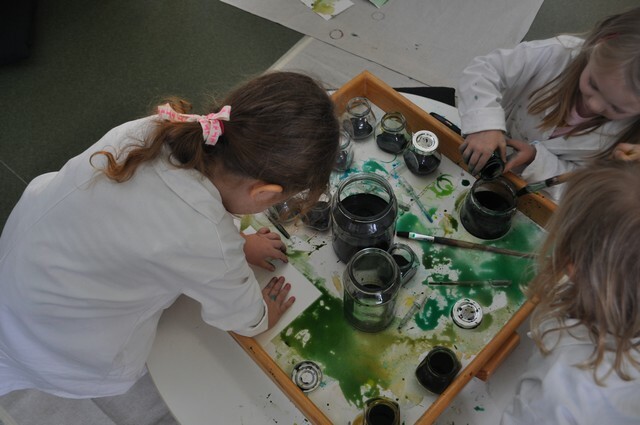 Key themes, such as colour mixing, insects and an exploration of fruit, emerged through the sessions. After four weeks, an interactive exhibition showcased the variety of drawing, painting, sculpture, video, photography and collage that was produced during the residency.